Yesterday TelOne launched their new data centre, amidst much pomp and funfair. Techzim covered the event and besides witnessing Plaxedes Wenyika serenading the crowd, a clearer insight to what POTRAZ are implementing in regards to the National Internet eXchange Point (IXP) was established. Techzim are yet to establish new data surrounding the establishment of the IXP, however TelOne have been forging ahead in-line with ‘ZimAsset’ resulting in the National Broadband Project. The ‘mega deal’ that was signed that availed a $98m loan from China Exim bank is where the funds were drawn down. TelOne have to date used a total of $33 million from the China Exim $98million facility since commencement of the National Broadband Project (NBB) in October 2016. From that $33 million TelOne have managed to undertake the following: Data Centre project, digitalization of several exchanges, convergence and introduction of their pre-paid billing platform, upgrade of information superhighway of Mutare-Harare-Bulawayo-Plumtree fibre link from 10 Gigabits per second to 100 Gigabits per second, upgrade of Bulawayo-Victoria Falls link from 622 Megabits per second to 1.2 Gigabits per second, and the on-going Bulawayo-Beitbridge fibre backbone link roll-out. 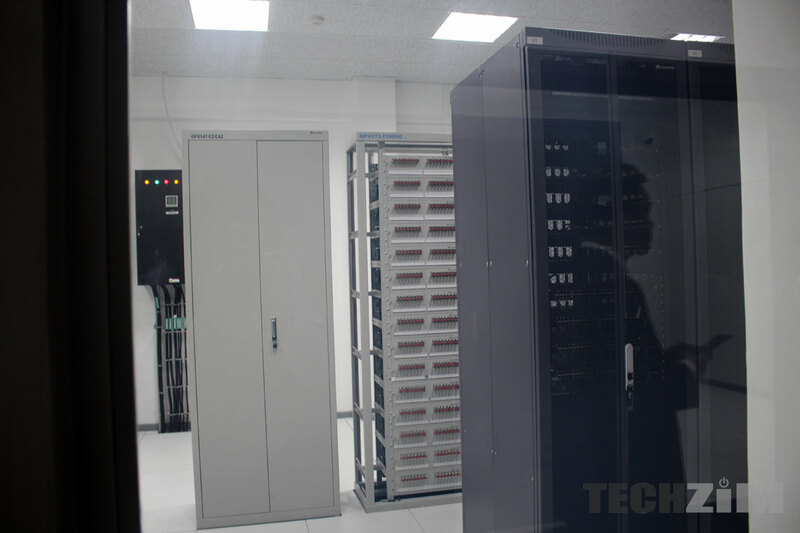 Harare hosts the Main Data Centre, but TelOne also launched the Mazoe Data Centre at the same event. TelOne currently receives 66% and 20% of its revenue from voice and broadband revenue respectively. They are hoping to change that to: voice (43%), broadband (48%) and the recently launched Data Centre and cloud services (8%). After this launch, TelOne are now capable of managing 640,000 unique accounts. The Data Centre and other project components are expected to start giving TelOne profits within the next 24 months. Are all these facts? Some of these are just things that were said that no-one can prove, especially when it comes to expenditure and forecasts of revenue. Anyway, Telone gets 66% and 20% of its revenue from voice and broadband revenue, where is the other 14%? Likewise, they want to change it to voice (43%), broadband (48%) and the recently launched Data Centre and cloud services (8%), where is the remaining 1%? Aside from that, these figures mean nothing as they do not show any indication of overall nett growth in revenue. The statement, “After this launch, TelOne are now capable of managing 640,000 unique accounts”, has no meaning without context. Are they voice accounts, broadband accounts, or maybe even web-hosting accounts? It’s not clear to me if the data centre is operational. Launch implies that it’s operational, but the services offered (and revenue) are being talked about in a future tense. If the ministry is so keen on infrasturcture sharing, why did they build a new data centre yet the are acknowledging that there are existing data centres? Very good questions. Thank your for your critical thought.